Fidelity vs E*TRADE: Which is Better? Fidelity is a comprehensive online broker with in-depth research. How does it compare to E*TRADE? Read our comparison chart below. Fidelity offers stock trades at $4.95 per trade, 93 commission free ETFs, and more than 180 branch locations. There is no minimum deposit. While E*TRADE offers stock trades at $6.95 per trade and 200+ commission free ETFs. There is a $500 minimum deposit, no maintenance fee and no inactivity fee. Compare Fidelity with E*TRADE, side-by-side. Read on for an in-depth look, including ratings, reviews, pros and cons. Fidelity Cash Management Account includes reimbursed ATM fees, no monthly fee, no minimum balance requirement, FDIC insurance, mobile check deposit, free billpay and free checkwriting. Checking account offers no minimum balance requirements, free online bill pay, and unlimited debit card and check transactions. ETrade Community lets you exchange trading and investing ideas with other ETrade customers. Live events and educational seminars at local branches. Which is Better: Fidelity or E*TRADE? Still need help deciding which investing is better? Read the in-depth reviews below. You may also be interested in comparing Fidelity or Ally Invest. In short: Fidelity's banking and research are excellent. E*TRADE's mobile app is outstanding. Thinking of opening a brokerage account with Fidelity? There are many reasons to love Fidelity and a few reasons to think about going elsewhere. Trading stocks isn't just for the rich and famous. Thanks to the internet, gone are the days of high commissions. 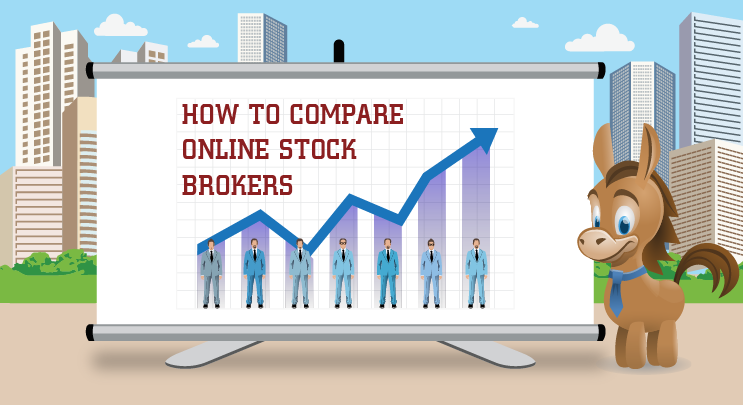 Online brokers offer similar services to your traditional in-person broker. But they come at a fraction of the cost. ZacksTrade Review: Is It Good? Stock traders that hear the name Zacks likely think of research. That's because Zacks has been a top provider of investment research for many years. The company has since broadened their services to offer an online brokerage firm. Merrill Edge Review: Is It Good? If you are looking for excellent customer service, competitive pricing, and robust investment options, you may have found what you are looking for in Merrill Edge. Interactive Brokers Review: Is It Good? Do you have $10,000 and plenty of trading knowledge? Interactive Brokers may provide you with a solid trading platform. With their competitive fees and robust trading options, they are a common choice for the experienced trader. Vanguard Brokerage Review: Is It Good? Vanguard Brokerage may be a full-service broker, but typically long-term investors preferring ETFs and mutual funds see the greatest return on their investment with them. The best options broker offers great service, low prices, and a user-friendly trading platform. Find the top options brokers to consider. Staying on top of your investments no longer handcuffs you to a desktop computer and an occasional peek into how your funds are performing. With mobile apps, you have no excuse for not knowing how the overall market is doing or whether your own investments are tanking. The bad news is this can give you even more reasons to keep checking your phone (not that you needed any more reasons). But the good news is, the right app may make you a smarter, more effective investor. Are you tired of earning just pennies on your savings every month? Are you looking for another way to build wealth? Do you want to invest in the stock market but don't know where to start?